By now, you probably already know that PinkMirror is the fast, easy way to professionally retouch your photos. 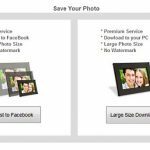 Once you’ve followed the quick, simple steps to select and retouch your image, you can easily download a full-size image to your hard disk or submit a small-size photo to Facebook. Now, though, there is another great option once you have retouched your photo: the album feature. 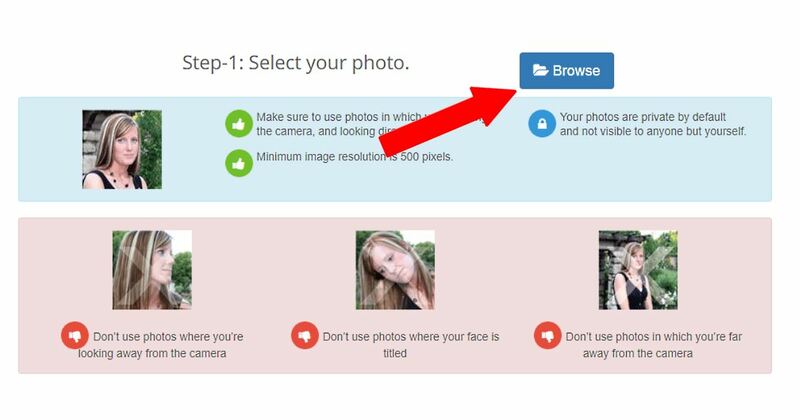 It’s easy to use and makes sharing and downloading your pictures much more convenient. First, select, retouch, and save your photo. 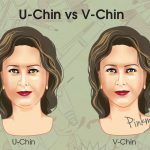 As with most features of PinkMirror, the first step is to select the photo you want to retouch. 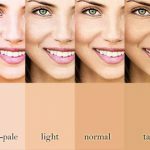 As always, choose a photo that is at least 500 pixels and has you facing toward the camera. 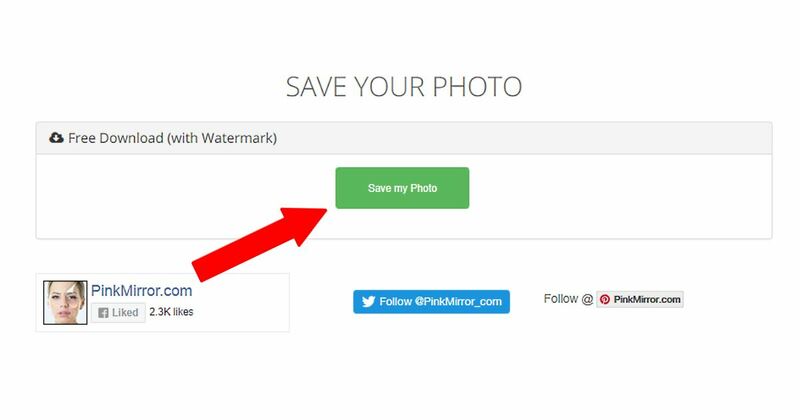 After you have saved the photo, you will receive a notice that it has been automatically saved to your photo album. Clicking on the Account link at the top of any page, opens a drop-down menu. Select Your Album from the drop-down. 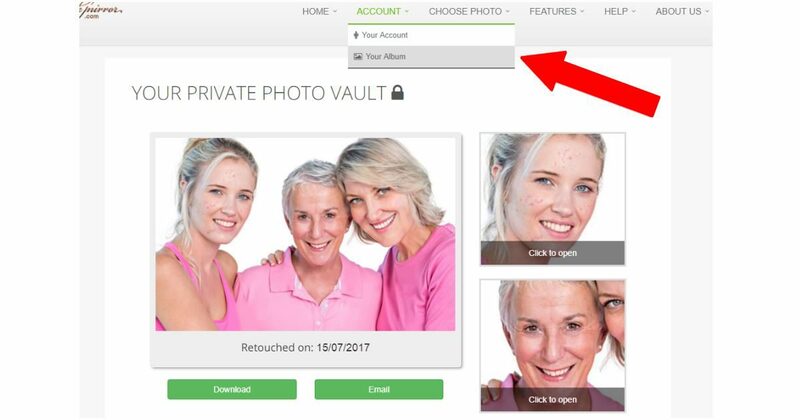 Notice that the title at the top of the page says, “YOUR PRIVATE PHOTO VAULT.” That’s because this album, like the rest of the site, is completely private. No one other than you can see this. If you decide to download and share, or email your photo, that is your choice, but this page is just for you. 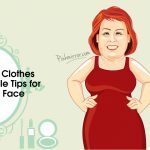 There are a few other things you might notice on this page as well. First, for each photo, you will see the retouched and original photos. Scroll your mouse over the retouched photo to see the changes that were made. The retouched photo includes the date it was retouched. Photos are arranged in the album by the when they were saved. 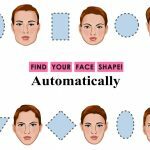 Anyone who is a registered user can use this album to find a retouched photo. Notice that you have some choices with each photo. Under the retouched photo are green buttons for “Download” and “Email.” Clicking the “Download” button allows you to download the retouched photo to your device. Click on the “Email” button and it automatically sends the photo as an attachment to the email listed in your profile. 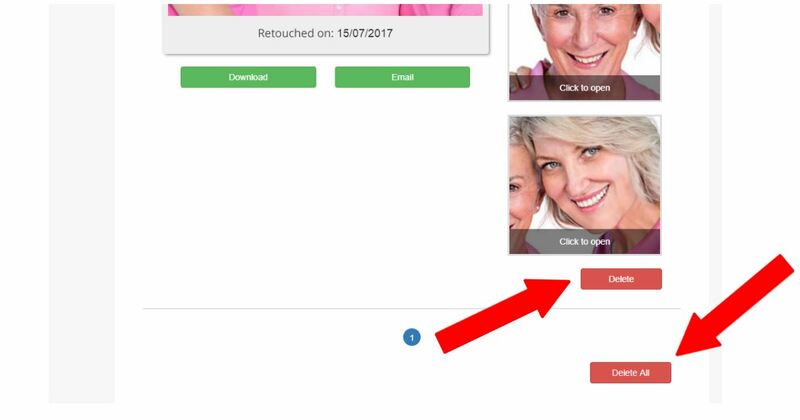 If you have decided you do not like the photo or you have a duplicate, you can always click the red “Delete” button on the bottom right, directly below the original photo. At the bottom of the page is a “Delete All” button if you decide to delete all of the photos in your album. What makes this feature so great? 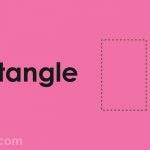 Your Album will make it easier and more convenient to save and share your photos. 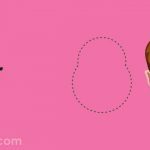 You can now easily collect all the photos you have retouched in one spot on the PinkMirror site. No more sifting through all your files just to find the right picture. This is also a good way to track various additions and changes to you photos over time.